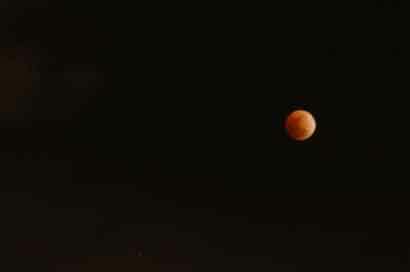 Tonight, Wednesday, February 20, 2008, in Los Angeles, beginning right after 7pm and lasting until close to 8pm, the moon moved under the long shadow of Earth to give us the first total lunar eclipse since last August 28, 2007. 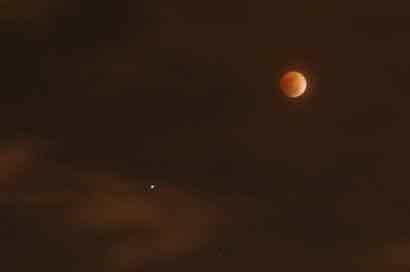 A total lunar eclipse occurs when the Earth is exactly aligned between the Sun and Moon. Tonight’s lunar eclipse could be seen in the Americas, Europe and Africa. 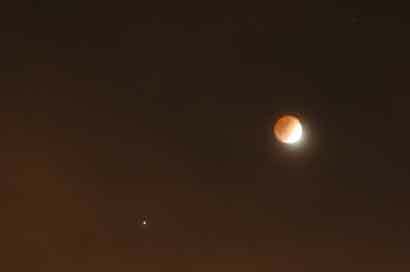 The next total lunar eclipse will be on December 21, 2010. First lunar eclipse picture was taken at about 7:03pm, PST on Wednesday, February 20, 2008. Second lunar eclipse photo: Note the rusty red light of the moon. It is actually indirect light from the Earth’s atmosphere.